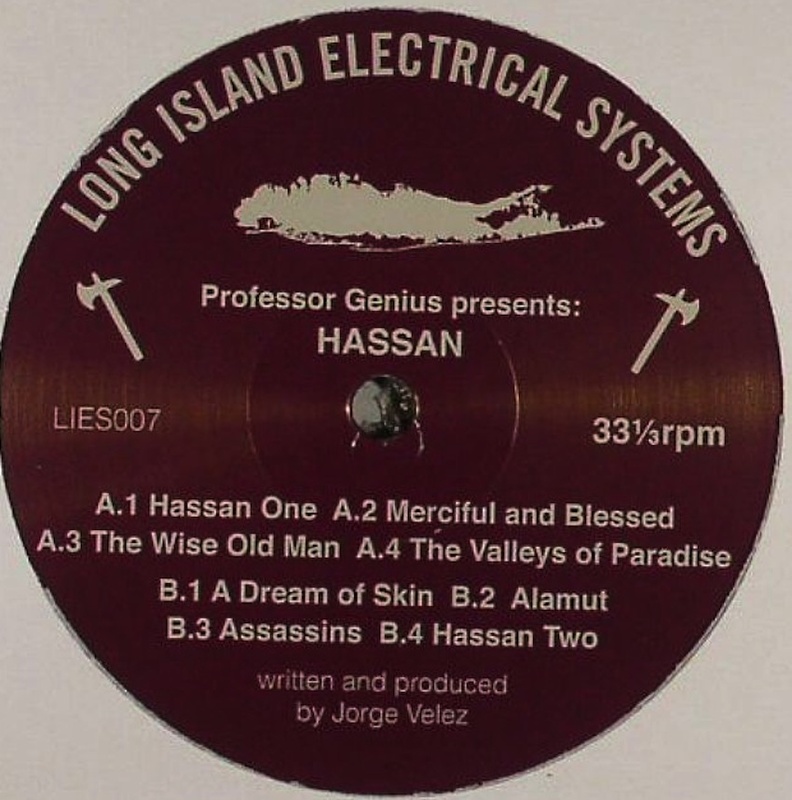 REVIEWS / PROMO`D / PROFESSOR GENIUS / HASSAN / L.I.E.S. A hymn to Hassan-I Sabbah, the old man of the mountains, Alborz, northern Iran. The song of the Hashshashin`s surrender to the promise of a paradise within the fortress of Alamut. A hallucinatory garden, clear water falls, rich Nature`s call almost deafening. Man is a stranger here, only gods are welcome. Dervishes and dancers entertain. Their costumes jeweled with golden coins, a cacophony. All is yours for the taking. Nothing is true. Everything is permitted. Senses overload. Bad journeys and video nasties (nobody rescued Lee Purkis), Steve Moore`s fever dream, the mosquito buzzing round Hosono`s Hotel Malabar, all part of a drugged, uneasy, nauseous high, that finds you walking with immortals, but your fleshy frame resisting, still tethered to the Earth. Shake the body and within Alamut is a new clarity. Strength increases ten-fold. You are become invisible, walls cease to exist, doors unlock. Move as smoke. The hashshashin`s victims are without hope, their fate is cast. No castle, no stronghold, no jou, no guard, can keep you from your target. You have crossed plains without taking a step. Destiny is seconds away, the future already written. Your mission`s conclusion on the point of your blade. This life about to end, and the next about to begin. 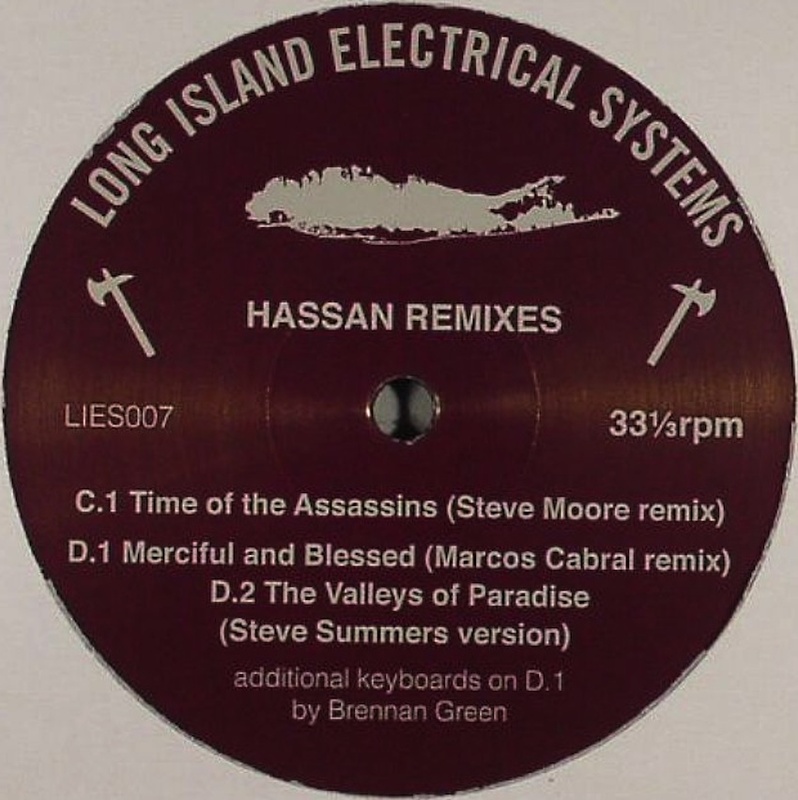 Steve Moore turns “Time Of The Assassins” into a requiem forged by an alliance of New Order and John Carpenter, Marcos Cabral makes “Merciful & Blessed” a homage to the trippy early `90s NY House of labels like Fourth Floor, when one half of Nu Groove seemed to pull away from the soulful and sought the palace of wisdom via the roads of excess, and Jason Letkiewicz, as Steve Summers, transforms “The Valleys Of Paradise” into New Beat seduction al a Jade 4 U`s “Rainbows”. There seems to be a growing movement around labels like L.I.E.S. and Emotional Response, artists like Tim Fairplay, Jason Letkiewicz, Matt Morandi, Jorge Velez, Willie Burnett, Sheila Rahman, Steve Moore, Kyle Martin & George Thompson`s Spectral Empire, and parties like World Unknown and it`s residents Andy Blake and Joe Hart, playing and making, basically, Trance, in its truest sense. 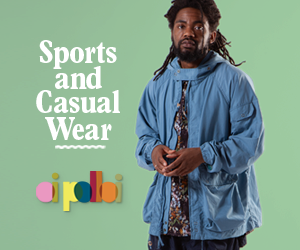 Music made to either induce or heighten alternative states of consciousness. Music borrowing from the ancients, but heavily influenced by nearly four decades of House music, Krautrock freak-outs / love-ins, and cult horror film soundtracks. Analogue soldiers re-introducing the error, the glorious mistake, the Human, into the digital cypher our world is in danger of becoming. Analogue soldiers fighting a Matrix-like battle on the peripheries of your vision, the edges where image breaks into pixelated primaries if you try to focus on it.